The crime scene was like something out of a horror movie. Billboard tycoon Oliver Mercer has been brutally slain in his home in the Pasadena hills, joined in death by his long-legged trophy girlfriend–both of their bodies displayed in a chilling tableau. The murder scene reawakens terrible memories for homicide detective Nan Vining, who survived her own harrowing attack a year earlier. While tracking the taunting gameplayer her daughter Emily dubbed T. B. Mann–The Bad Man–she is now working the Mercer case alongside her ex-flame Jim Kissick, stirring up conflicted feelings in her. From the ritzy estates of L.A.’s Lamborghini-driving set to a rocky desert outpost where rattlesnakes whisper murder, Nan will risk both her badge and her heart on a case that cuts close to the bone. 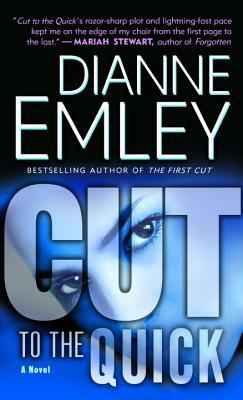 Dianne Emley gained critical acclaim with her Los Angeles Times bestseller The First Cut, the first thriller featuring homicide detective Nan Vining. She is also author of The Deepest Cut. She lives in Pasadena, California, with her husband, Charlie, and two cats.